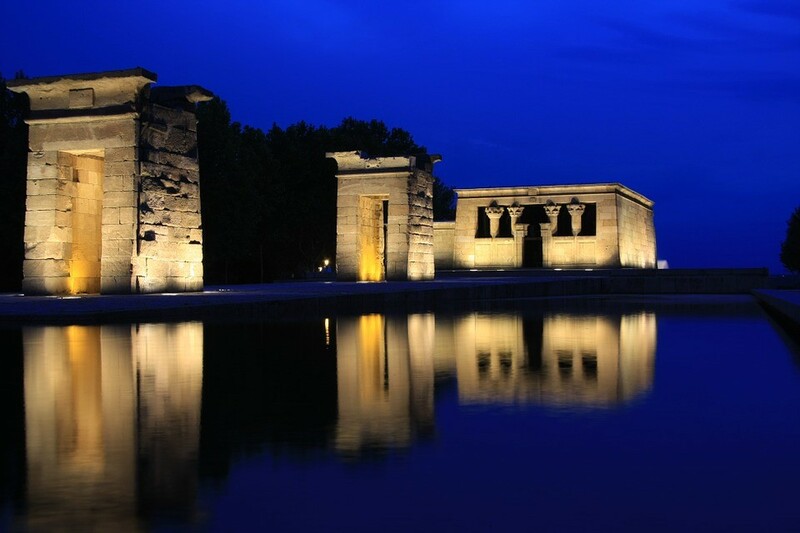 Many people are surprised to find an authentic Egyptian temple in the middle of Madrid. 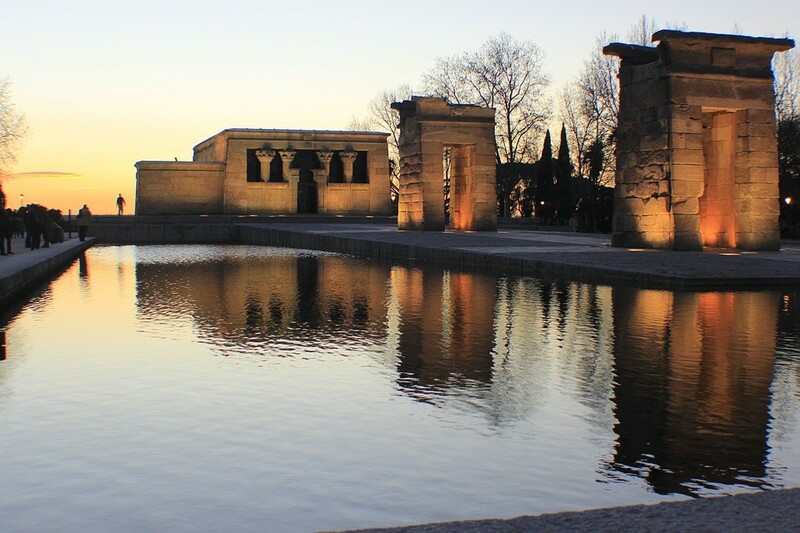 Many people are surprised to find an authentic Egyptian temple in the middle of Madrid. The temple, which dates back to the 2nd century and is dedicated to the gods Amun and Isis, was transported to Spain and rebuilt - stone by stone- in 1968. Due to the construction of the Aswan Dam in 1960, many valuable monuments and archaeological sites were in danger of being destroyed. 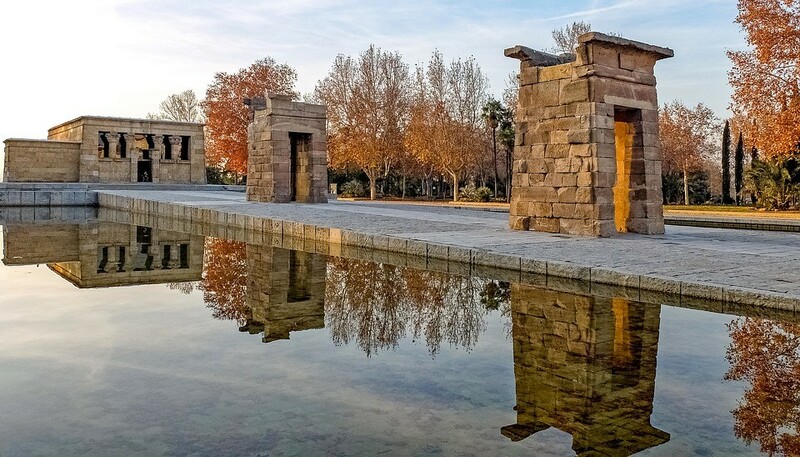 Therefore, UNESCO (The United Nations Educational, Scientific and Cultural Organisation) made an appeal to countries to help save these monuments –and- as a sign of gratitude for the help Spain provided, Egypt donated the Templo de Debod to Madrid. First opened to the public in 1972, today the temple still stands near Plaza de España and is surrounded by a park from where it is possible to admire the Guadarrama mountains and the Spanish capital’s most outstanding sunsets. April 1 to September 30 (except August): Tuesday-Friday, 10.00-14.00 and 18.00-20.00; Saturdays, Sundays and holidays, 10.00-14.00. Closed on January 1 and 6, May 1 and December 25.